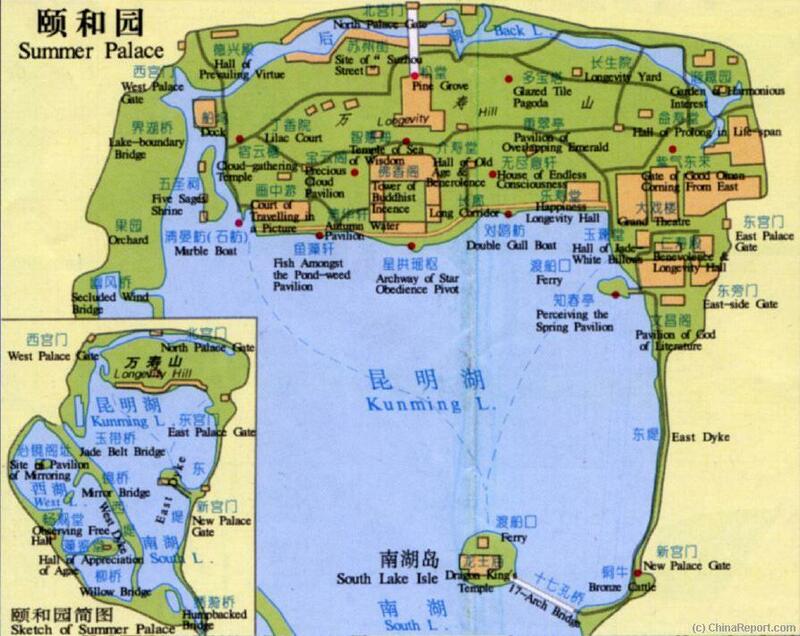 This Summer Palace ( YiHeYuan ) Map gives a general overview of the entire Summer Palace Park Area arranged within 2 Images. The main image Focusses on the main Palace Area situated along the north shores of Kunming Lake, the hand-dug central lake of the Summer Palace. The second image provides insight to the various scenic spots visitable along the southern scenic route of the Park, which involves several bridges, pavilions and ancient trees. For more information on, and photos of each location, click on the RED link buttons where available.